Use with Closed Circuit Television (CCTV) applications and security camera components. This pre-terminated CCTV cable is perfect for transmitting video and power. 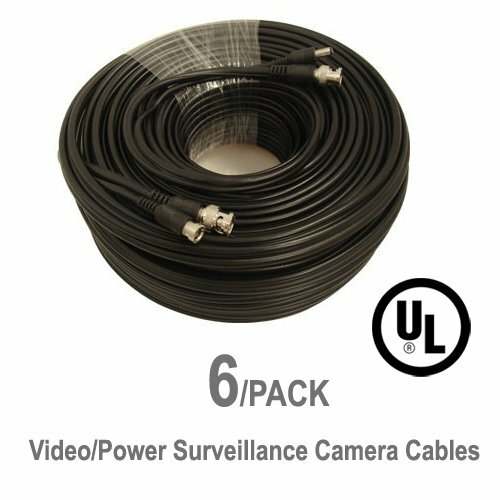 Simplify the installation of surveillance systems by using one cable to carry video and power. .Extend the cable on your camera easily with this extension kit. Don't waste time soldering or crimping together your own cables or voiding the warranty by splicing in your own wires. Most cameras only have a few feet of cable coming off the camera. This cable will help you to extend the power and video signals. Now, it's easier than ever to mount your camera just about anywhere you would like. ISO 9000 Certified* UL Listed Cables. 30 Day "No Hassle" Return. Best Customer Satisfaction Rated USA Seller.